Sunday 0502 from Money Funk on Vimeo. if I’d stop tweeking my posts I wouldn’t have crawl errors (like changing categories, deletion of older posts, etc…). LOL. I loved the great discussion on Private School: is it Worth your Money! Thank you Trish (from Simple Life in France) for the wonderful post! And thank YOU for the thoughtful discussion. Favorite Post: Erica.biz How to Make Money Blogging <--And it has nothing to do with the money totals but all to do with the content under the subheading, "How to Overcome Your Big â€œButsâ€"
Whether your blogging or not, if there is a goal you want to reach… Erica and James’ post offer some great advice. How about a 2010 Presidential $1 Coin Uncirculated Set??? The 2010 Presidential $1 Coin Uncirculated Setâ„¢ contains all of the Presidential $1 Coins issued in 2010. You will receive Millard Fillmore, Franklin Pierce, James Buchanan and Abraham Lincoln $1 Coins, from both the United States Mint facilities at Philadelphia and Denver â€“ a total of eight coins. 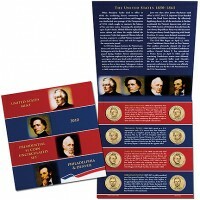 This set is presented in a folder with biographical sketches, notable quotes and portraits of each President. Each coin is mounted in an individual protective, rotatable blister; edge-incused inscriptions on the coins are fully visible. An image of the President appears on each obverse of the coins and the common reverse features a striking rendition of the Statue of Liberty. These coins also feature edge-incused inscriptions of the year, E PLURIBUS UNUM, and the mint mark. The size, weight and metal composition of the Presidential $1 Coins are identical to that of the Native American $1 Coin. These four coins will be struck for a limited time only, making this set not only a great gift but also an enduring reminder of our Nation’s history! Enjoy this giveaway brought to you by Snubbr.com! Snubbr.com is sorta like Yahoo Answers for shopping advice. Let’s say you want to buy a new money clip, or looking for a new gadget, you’ll just head over to snubbr.com, and ask the experts your question. They will do all the research for you and recommend things for you to buy, saving you loads of time and stress. It’s like a personal shopper. Leave a comment below. One Entry per Person. Giveaway will close Saturday, May 8th at Midnight. Happy Entering! This giveaway is closed. The winner will be notified by email. Thank you for entering! 🙂 <--Congratulations, Susan! This entry was posted in The Daily Grind and tagged crawl errors, giveaway, page rank on 2010-05-02 by Christine. 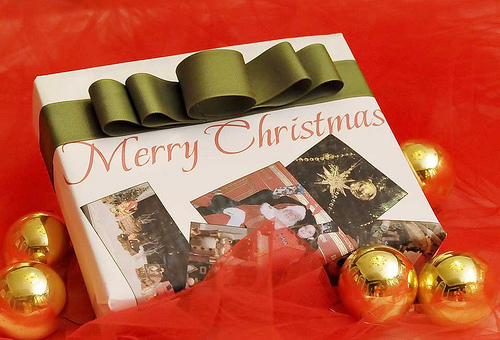 Thank you for sharing all your wonderful thoughts about the holidays. Congratulations to Jackie! You didn’t think I was going to talk about Make Money Blogging with out thanking my readers, did you? Next Week – Friday, November 27 – I’ll be giving away a $25.00 gift card from Amazon.com (this way you’ll have it before Cyber Monday). This contest has ended. What do I have to do to win the giftcard? Leave a comment below describing your favorite thing about the holidays – is there a great family tradition, something you love to eat, or naming your favorite sweets. The entries close at midnight (PST) on Turkey Day -Thursday, 26th November and the winner will be contacted the next day via email. I will randomly select a winner using random.org. The winner will be announced Friday, November 27th. Although, not required to be entered, I hope that you’ll retweet or make mention of this post to spread the word around. Happy entering! Can you enter if you are located outside of the US? Sure! This entry was posted in The Daily Grind and tagged amazon giftcard, giveaway on 2009-11-18 by Christine.